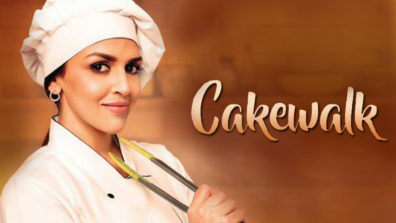 Smita Patil’s Sadgati was India’s first Hindi short feature film to get television premiere, whereas Esha Deol Takhtani’s Cakewalk will be India’s first to get world premiere! 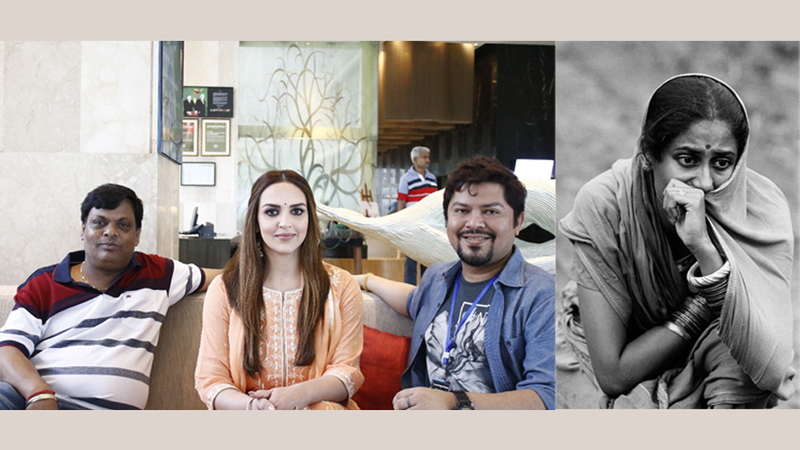 Esha Deol Takhtani starrer 27 minute film is produced by Dinesh Gupta, Aritra Das and Shailendra Kumar. Producer Dinesh Gupta says, “It’s an honour and privilege that our film will have a worldwide premeire on Rishtey Cineplex HD and will also stream on Voot. As a producer it gives me immense pleasure, and the entire credit of this success goes to my director Ram Kamal Mukherjee who not only worked relentlessly on this film, but also ensured that it gets the right platform.” Dinesh Gupta earlier made full length feature film Chal Gaya Bapu, which released last year. 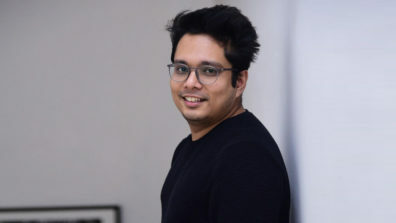 The trend of short film seems to be catching up with major OTT platforms and they are willing to acquire films compared to commissioning them. “I think cinema and content is changing. 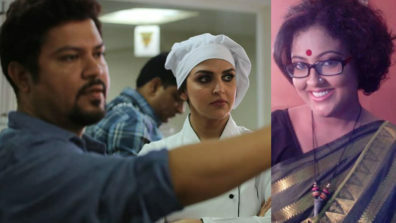 We have many options and that’s what gives us hope,” says director Ram Kamal Mukherjee. 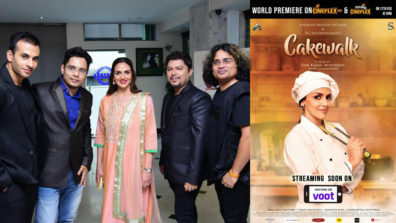 Incidentally Satyajit Ray’s film was only viewed in India, but Ram Kamal Mukherjee’s directorial debut Cakewalk will be viewed acrosss the globe. “Yes, it’s a world wide premiere,” says Ram Kamal. “The challenge is more nowadays. People have high expectations from each and every content. I hope that they will like it. 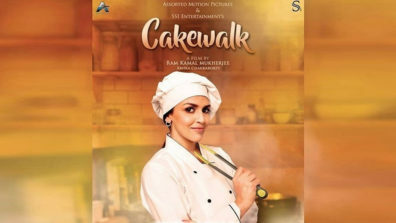 And there is no comparison between Cakewalk and Sadgati. I am honoured that you are comparing Ray’s masterpiece with our humble offering, but that would be a totally uncalled for comparison,” insists the filmmaker. The film is produced under the banner of Assorted Motion Pictures and SS1 Entertainments, and also stars Tarun Malhotra and Anindita Bose. The music has been composed by Shailendra Sayanti. 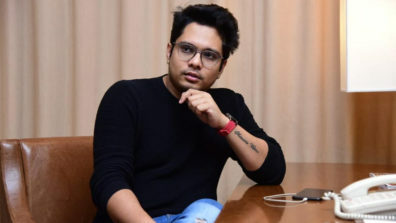 The film is co directed by Abhra Chakraborty. The music rights of the film has been acquired by Zee Music, while the film will be premiered at Rishtey Cineplex HD on February 17th at 6pm. 2. 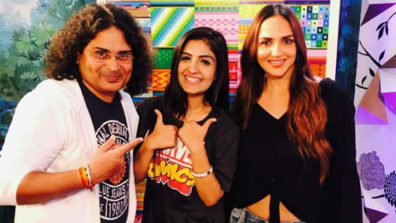 Esha Deol Takhtani with producer Dinesh Gupta and director Ram Kamal Mukherjee.